Replacement foot pump, use with 9201. Jaco Aerospace and Industrial is your one stop resource for 3M(TM) Avagard(TM) Replacement Foot Pump 9203A and all of your 3M Products, Tapes, aerospace and industrial needs. 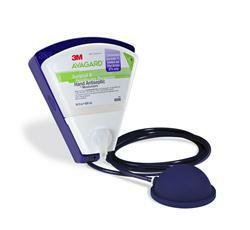 SKU Marketplace Product Description: Replacement foot pump, use with 9201.